BURNET — People often go to the YMCA of the Highland Lakes at Galloway-Hammond to enjoy its Olympic-size pool, state-of-the-art weight room, baseball and softball fields, and large volleyball and basketball courts. But, on Saturday, Sept. 15, there's even more fun to be had. 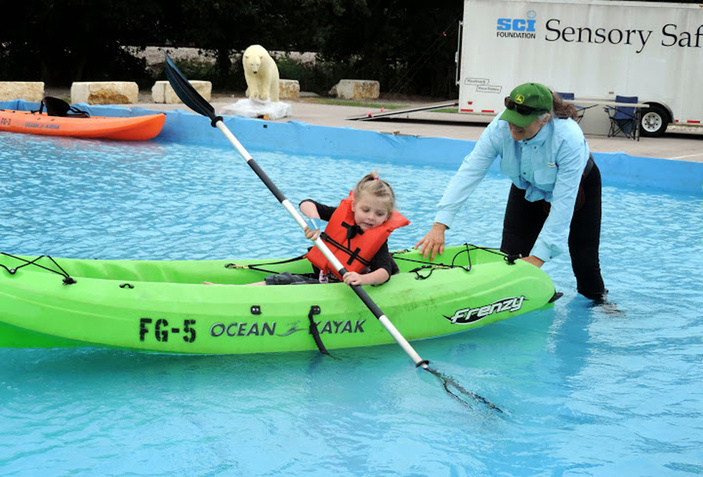 The 15th annual Kids' Day Out brings with it bounce houses, kayaking, archery, and fishing for youngsters. The event is 9 a.m.-3 p.m. at the recreation center, 1601 U.S. 281. Everything is free. Children can also eat for free with hot dogs and water available. And the fun can follow them home with giveaways of fishing gear and balls. While admission and food are free, organizer Dale Hill asks that attendees bring one canned good to be donated to LACare, the city’s food pantry. Officials estimate Kids’ Day Out will draw more than 1,500 fun-seekers. Members of the Burnet fire, police, and EMS departments will be in attendance as will Seton Care-A-Van, the Texas A&M AgriLife Extension Service of Burnet County, and a couple of helicopters. In addition to the fun activities, booths on health and fitness also will be set up. It's all for the experience. Kids’ Day Out is possible thanks to the Burnet County Fair and Rodeo Association. The first Kids’ Day Out drew 700 people. “It’s grown every year and gotten better,” Hill said. Hill credits the success of the annual function to the commitment of sponsors and volunteers. Call (830) 693-2777 or Hill at (512) 755-2963 for more information.